Paul Fitzpatrick, MIQ Managing Director of Global Trade Management, recently presented on the Trans-Pacific Partnership and other trade agreements. The TPP is a trade agreement among 12 Pacific Rim countries signed on February 4, 2016 in Auckland, New Zealand after 7 years of negotiations. The TPP will create the world’s largest free-trade zone. The countries within its scope account for 40% of the world’s economic output. The Agreement will not enter into force until ratified by the respective governments. OVERLAND PARK, Kan., November 7, 2016 – MIQ Logistics was recently listed on the Top 100 U.S. Domestic Transportation Management (DTM) and Freight Broker list from Armstrong & Associates. MIQ Logistics ranks 35th on the listing for the second year in a row. 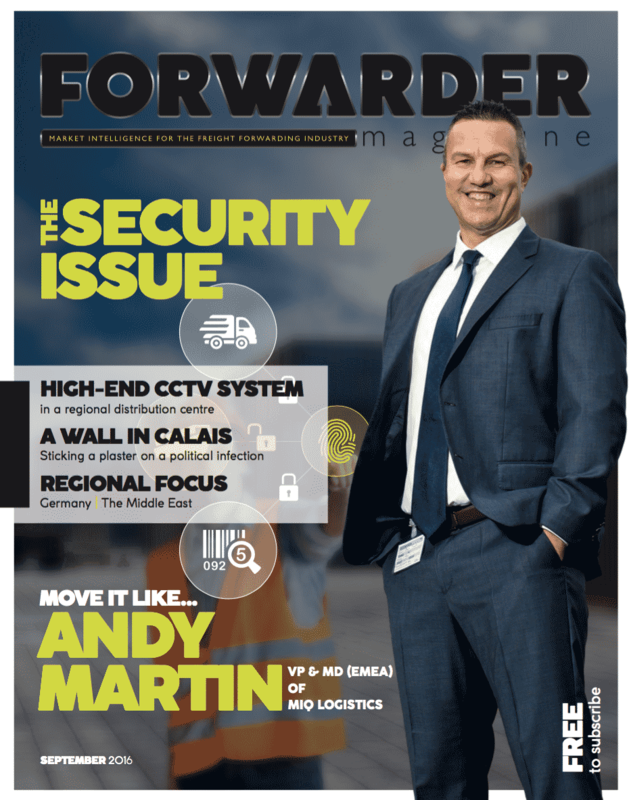 Andy Martin, MIQ Vice President & Managing Director of EMEA, was featured in the September 2016 issue of Forwarder Magazine. In the article, Martin talks about how he started at MIQ Logistics, as well as what the future holds for the company. The 2016 Biennial Renewal Period began Saturday, Oct 1, 2016 and ends on Saturday December 31, 2016 at 11:59 PM. Total nonfarm payroll employment rose by 161,000 in October, and the unemployment rate was little changed at 4.9 percent, the U.S. Bureau of Labor Statistics reported today. Employment continued to trend up in health care, professional and business services, and financial activities. The unemployment rate, at 4.9 percent, and the number of unemployed persons, at 7.8 million, changed little in October. Both measures have shown little movement, on net, since August 2015. Economic activity in the manufacturing sector expanded in October, and the overall economy grew for the 89th consecutive month, say the nation’s supply executives in the latest Manufacturing ISM® Report On Business®. 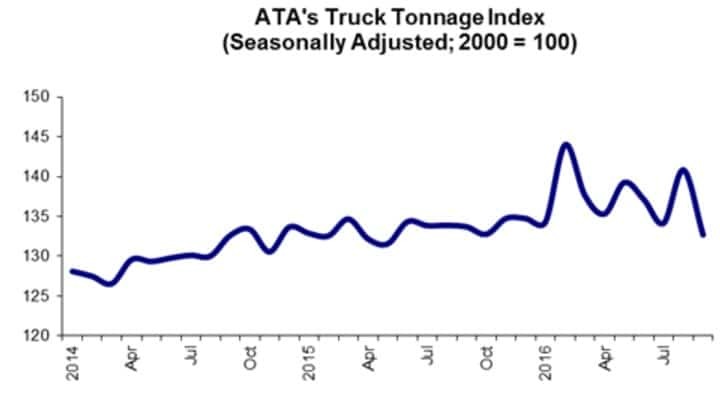 American Trucking Associations’ advanced seasonally adjusted (SA) For-Hire Truck Tonnage Index contracted 5.8% in September, following a 5% rise during August (a slight downward revision from our press release last month). In September, the index equaled 132.7 (2000=100), down from 140.8 in August. The all-time high was 144 in February. After offering a glimmer of ‘less bad’ hope in August (only down 1.1% YoY and up 0.4% sequentially), the Cass Freight Index shipments data in September disappointed, providing hindsight that August only gave us ‘false hope.’ September data is once again signaling that overall shipment volumes (and pricing) continued to be weak in most modes, with increased levels of volatility as all levels of the supply chain (manufacturing, wholesale, retail) continue to try and work down inventory levels. That said, there have been a few areas of growth, mostly related to e-commerce, with lower levels of expansion being experienced in transit modes serving the auto and housing/construction industries. All of this added up to lower shipment volume in September on a YoY (Year-over-Year) basis, marking the nineteenth straight month of year-over-year decline. Bottom line, the Industrial Recession in the U.S. that began in March of 2015 continues to weigh on overall volumes.